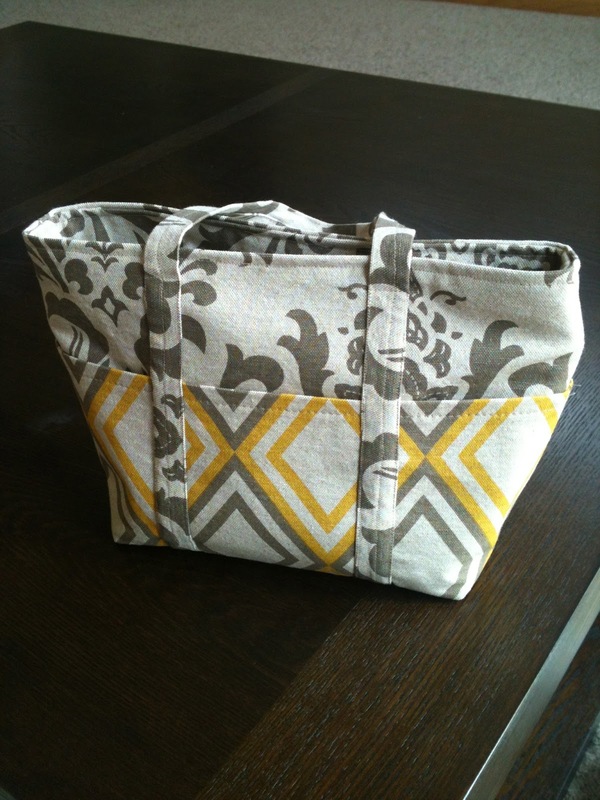 C.Jane.Do: Sewing a Success so Far - YAY! Here is the image of my completed project! I have to say - I'm pretty happy with the fabric I picked out. Everyone in the class did the same pattern, but each fabric choice was so different. Everyone really did a great job of making these their own. The class was a great learning experience and hopefully this is the first of many bags that I will be completing! I have one more class next week where I hope to tackle finishing the 2nd bag I've been working on - watch for that reveal soon to come! I also hope to learn how to sew on a button and hem some pants. This has been a long-awaited project because I have a pair of pants that I button with a safety pin. I also have a pair of amazing black slacks that I've had about 5 years and never actually worn because they are about 3 inches too long, even with heals. We shall see how far I take this sewing thing! I highly recommend the class to anyone - it was much easier learning than I anticipated and I'm so impressed with the finished product! They also may have a class on making a t-shirt blanked that I'm so hyped for in the fall. I have had this bin of shirts collected since college that I have so been waiting to make into a blanket! 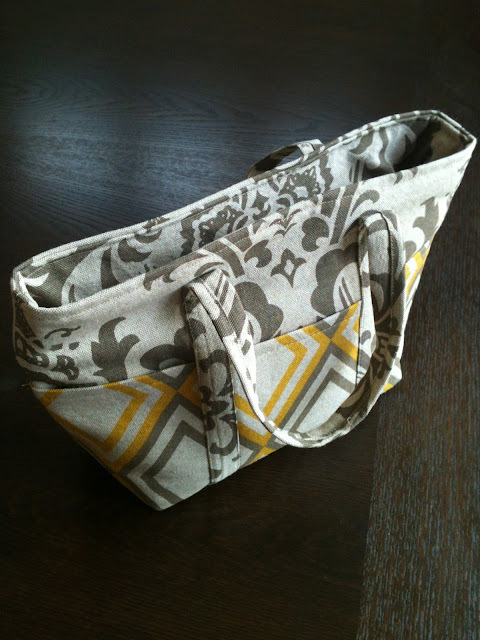 The inside pockets are practical and I love the zipper - it works great with this fabric! 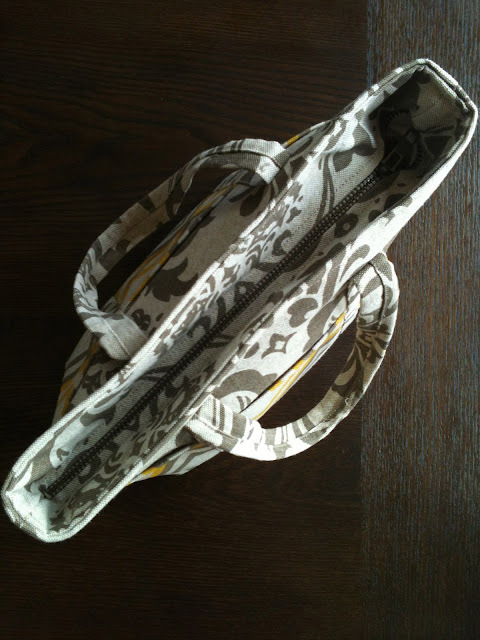 It worked out really great with the 2 patterns and the weight is heavy and soft yet durable.